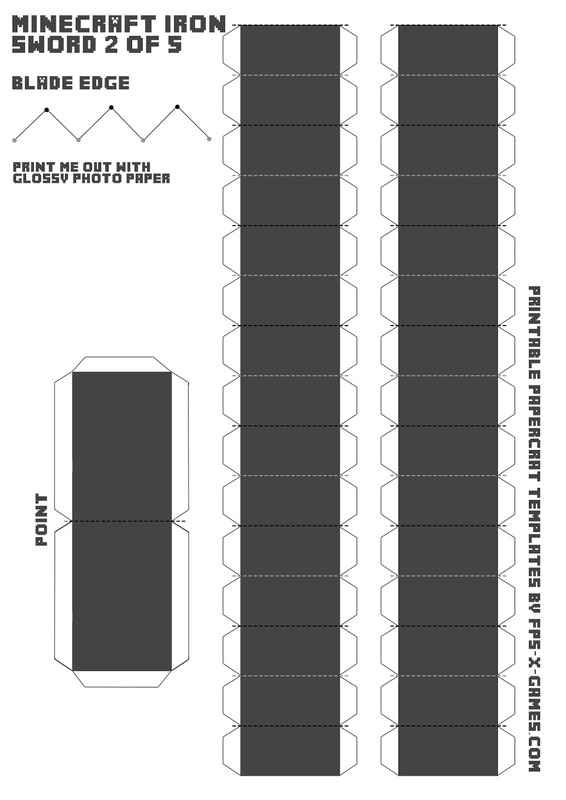 If you like the indie game Minecraft and enjoy creating papercraft/paper models then I'm sure you'll love this. Create your own life size Minecraft Iron Sword with this free printable template and show your mates who's the boss. 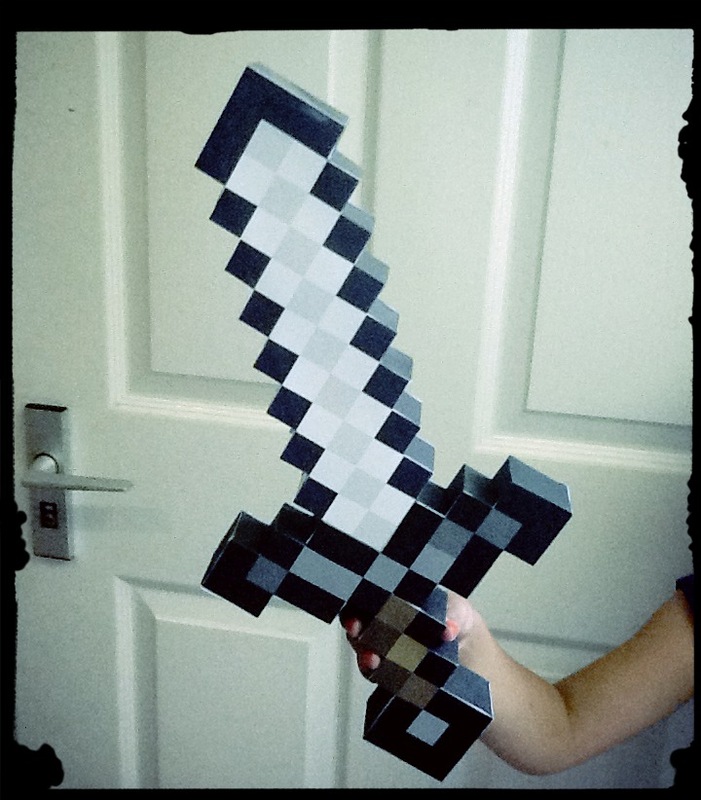 You could of course jump over to Jinx and buy the official foam sword for £17.99 or you could download, cut out, fold, glue and create your very own 17.5 inch sword in no time at all for free. 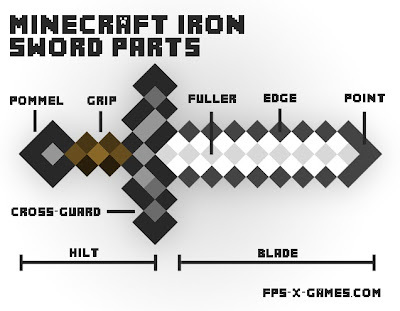 How to create your own Minecraft Iron sword? Download and save the printable A4 (210x297) Iron sword templates to you computer. 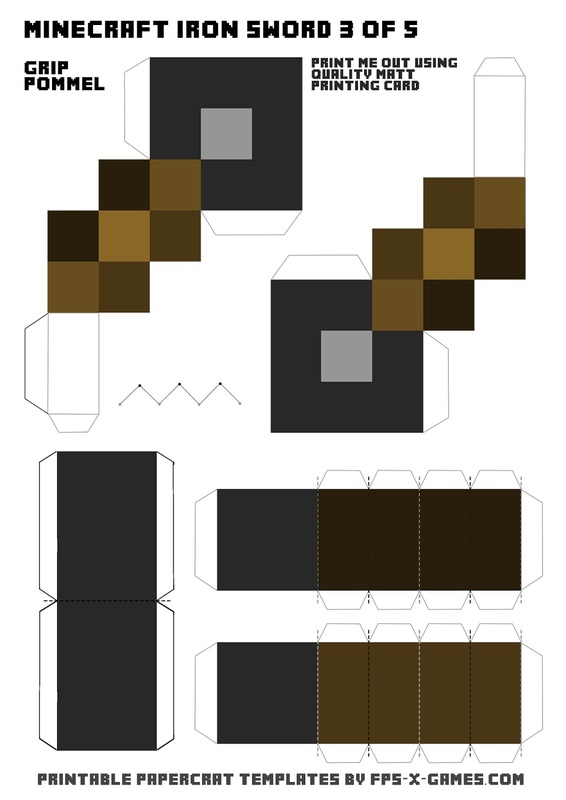 Print Out the Minecraft sword templates. NOTE 1: for best results use quality card or photo paper with high gsm. NOTE 2: use matt card for the pommel, grip and cross guard. NOTE 3: use glossy photo paper for the blade & edge. This is what I recommend using for a quality epic finish but it's up to you what card to use. Cut Out the papercraft templates with scissors or a scalpel, whatever you prefer, just be careful and take your time. 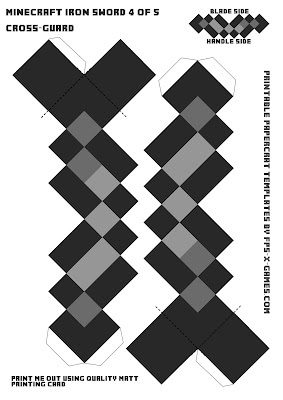 Fold all the tabs and guidelines, again take your time and fold as neat as you can. 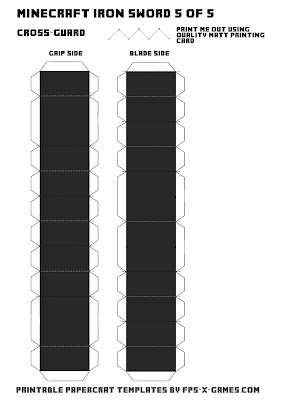 Play around with the folded sword parts to get a full understanding of where the parts go before committing yourself to glueing. Once happy you know how to put together go ahead and glue. I used PVA glue and a 1/4" brush. Minecraft large papercraft iron sword by Steven Bear is licensed under a Creative Commons Attribution-NonCommercial-NoDerivs 3.0 Unported License. 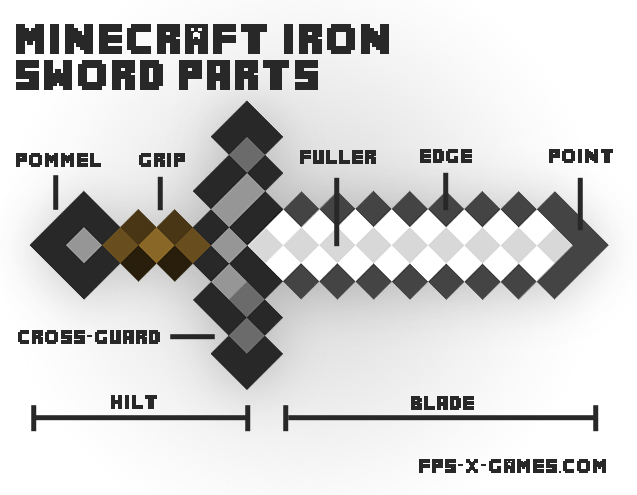 Based on a work at www.fps-x-games.com/2013/08/minecraft-large-printable-iron-sword.html. Baby zombie. It will make my friends the happiest and me too. Hey, some cool request. Slime and teenager as models or mask? 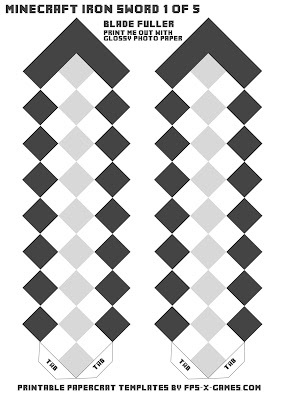 Sounds like you're not saving the orignal full sized image, be sure to left click template to bring up full sized image them right click and save as. Also check printer options to fit to paper. I be offer PDF format soon to help people like yourself. 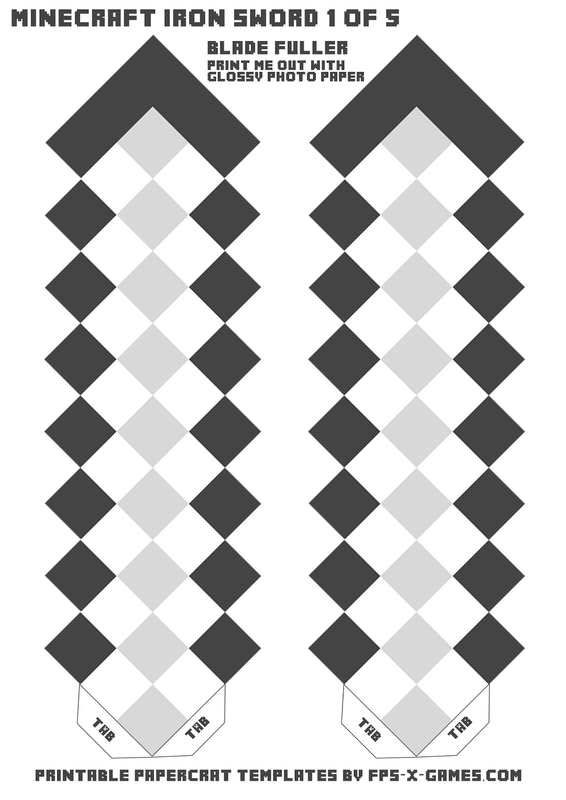 Oh should've asked, did you left click the template to bring up full sized image? Cool, you make a Happy Halloween for my kid! Thanks a lot!